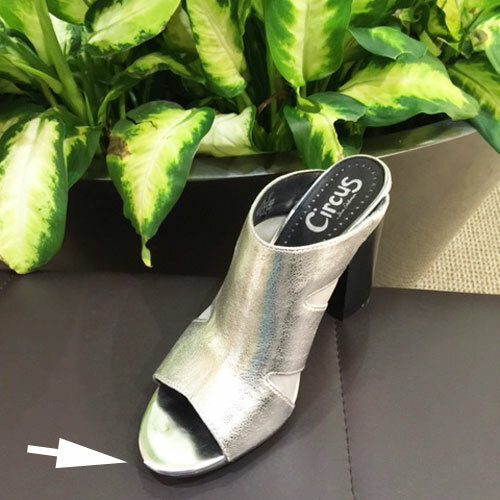 My excitement began when I put on my brand new pair of silver high-heeled shoes! While I don’t have an obsession with shoes, most women [like me] feel pretty confident slipping their feet into a new pair of sandals, wedges, boots, flats, heels, or tennis shoes. I am no exception. Yesterday, I was “pumped” gracing my feet in this new pair of shoes for their first time. My shoes and I were going out-on-the-town for the first time to Sax Fifth Avenue in Houston’s Galleria to enjoy lunch with my good friend Dorothy. I stepped out of the house with my serotonin level bouncing high! As I pulled out of my driveway, I noticed my garbage man (okay, sanitation worker) had come, and I needed to bring the garbage can to the back of the house. I exited my car and dragged the garbage can to its resting place. But then the unthinkable happened. I was heading back to my car and I stumbled on the front of my right shoe. Right then and there, I experienced grief, regret, and discouragement all at the same time. Nothing affects a girl’s mood more than getting a tear in a brand new pair of shoes tear the first time they wear them. 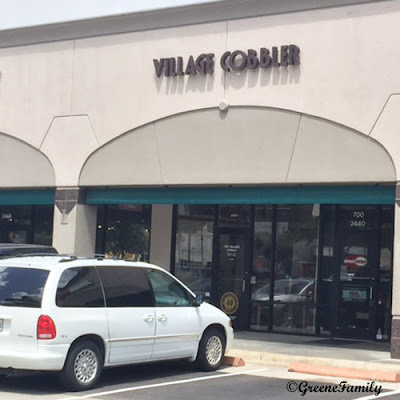 But, I continued to the Galleria with the express thought that I would stop at the shoe repair store on my way home and see if the cobbler could somehow prevent my shoe from tearing more. On the drive to the Galleria, my tiny tear somehow became a BIG rip in my mind. When I walked into the Galleria, I was so conscious of the tear in my shoe that my mind even thought, "The Galleria is so fancy that no one should be wearing a torn shoe here." Crazy, right! After a lovely lunch with my friend, I decided to drive directly to the cobbler to fix this problem before it got out of hand. In my mind, the cobbler had all of a sudden become elevated to having a doctorate degree in 'Shoe Repair.' If anyone could fix my shoe, he could! I arrived at the shoe repair shop, parked my car in the parking lot, and began pondering and contemplating whether I should go in or not. I finally decided that I was putting way too much emphasis on my new pair of shoes. To make a long story short, I decided not to spend $10.00+/- to get a small tear fixed when my shoes only cost $39.00. I drove home without entering the hallowed doors of my savior –THE COBBLER. So, why am I compelled to tell my shoe story? It is because all through the day my mind was drifting to find a spiritual meaning to this event. For now though, let’s pretend the small TEAR in my shoe is SIN and the COBBLER is THE LORD. Just like the cobbler wants to fix our shoes, God wants to fix us. When you and I first sin, we would be wise to go to the Lord immediately to get our sins forgiven and deal with it before we sin more. We all sin, but do we always turn to the Lord after one little bitty sin? Sometimes we do, but other times, we wait until our sins mount. The longer we wait to go to the expert, the problems and consequences of our sins (our tears) get bigger and bigger. Take the prodigal son. He went off with his inheritance. Excited about his new adventure, he squandered his wealth and became involved in ungodly behavior. He enjoyed himself until one day, he found himself eating with the pigs. His sins accumulated, but finally he decided he had it better at home and he returned to his father. And, the good news is his father accepted him. It would have been best if the 'prodigal son' never left home and sinned, but he did. Sometimes however, we try to avoid our Father. When avoiding Him, He will be constantly pursuing us to come to Him or to come back to Him. When we postpone or reject God, our situation and consequences usually get worse. The longer we wait the harder it becomes, but remember that God continues to pursue us until the days of pursuing are over. Whether we have been involved in a crime; had an abortion; deceived our spouse, or other actions, God still loves us. He cares about us, and He will continue to put spiritual people, spiritual literature, spiritual songs, and more in our pathway as he convicts us to return to Him. Our Heavenly Father sees the small tears (sins) in our life, and He wants to fix them as soon as possible before they turns into large tears that come with more dire consequences. By deciding not to go to the cobbler, I didn’t get the small tear in my shoe fixed. But, it’s just a shoe!!! Our lives are more important than a shoe. God is there to heal all the small tears and big tears in our lives. When we turn to Him, we experience true freedom and well-being. Actually, it can mean the difference between heaven and hell. Wherever you are in your spiritual walk, choose God. Don’t wait. He loves and cares for all of us. Make God the Master Cobbler in your life. Today! Dear Jesus, Thank you for being with me today. Lord, show me my sins – even those little ones that I barely notice. I confess both the small sins and the big sins to you right now. Let me quickly recognize when I hurt others. Lord, you are better than a cobbler who is limited to their expertise. You can fix everything. I ask you to fix me and forgive me for where I have failed you. And trust you as my personal Lord and Savior. Amen. I hope you enjoyed my blog today, but I’ve got to run. I saw these really cute pair of red strappy sandals . . .